There comes a time where you will want to hold a party, but then you will also need to come up with the right Party Invitations for the event. the problem is that you will need to know just what kind of invitation you should make so that it matches the party you’re going to throw. 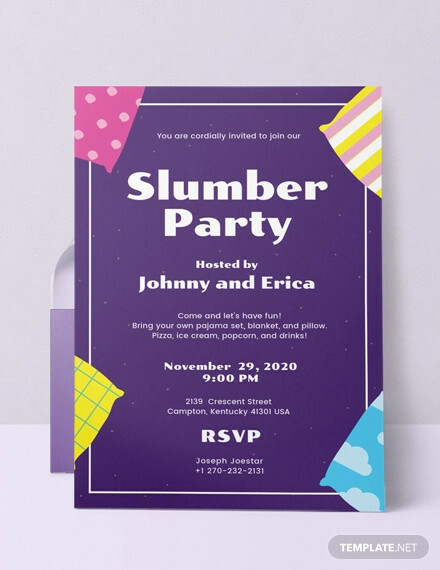 For example, if you were to hold a party which involves a lot of dancing, then you would obviously have to come up with Dance Party Invitations. So what if you decide that you want to hold a slumber party, yet you don’t know what you should do in order to make one? That’s why this article is going to teach you how to make your very own slumber party invitations. 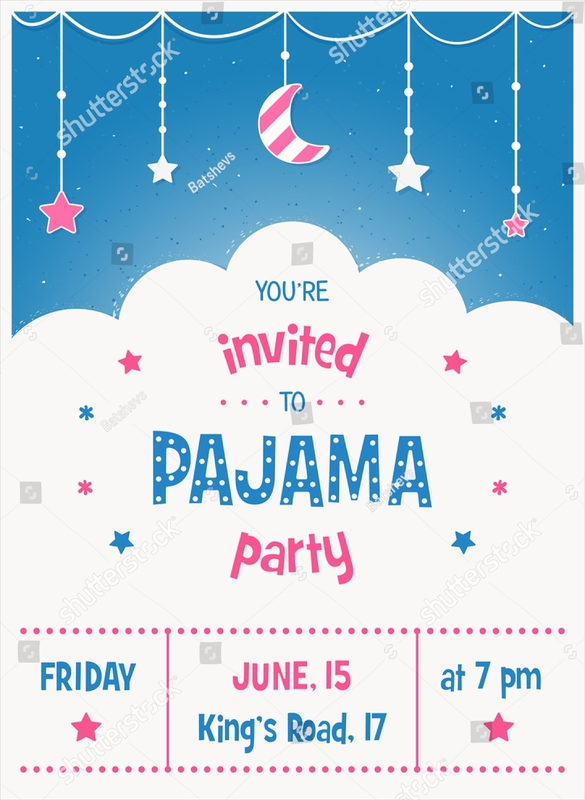 When you’re making something like Cocktail Party Invitations, wouldn’t you want your invitees to know that it’s a party specifically for conversing with others while consuming alcoholic beverages in a formal manner? 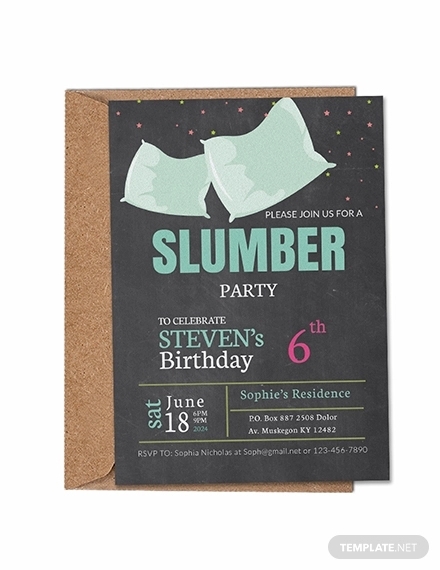 Well, that’s exactly what you want to do with your slumber party invitations where you want to point out that the reason why you’re inviting these people is because you have come up with an event where all of you gather in one place and sleep over. When you’re telling the person as to what type of party it’s going to be, then you it’s important that it gets straight to the point. 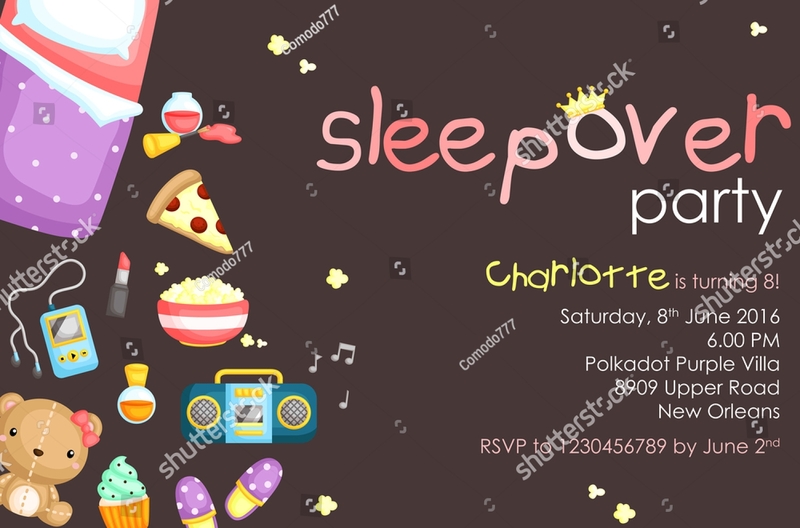 So the only thing that you have to do is state what kind of party it is (a good example simply being “Slumber Party”) into the invitation, as well as a very brief description of the event. 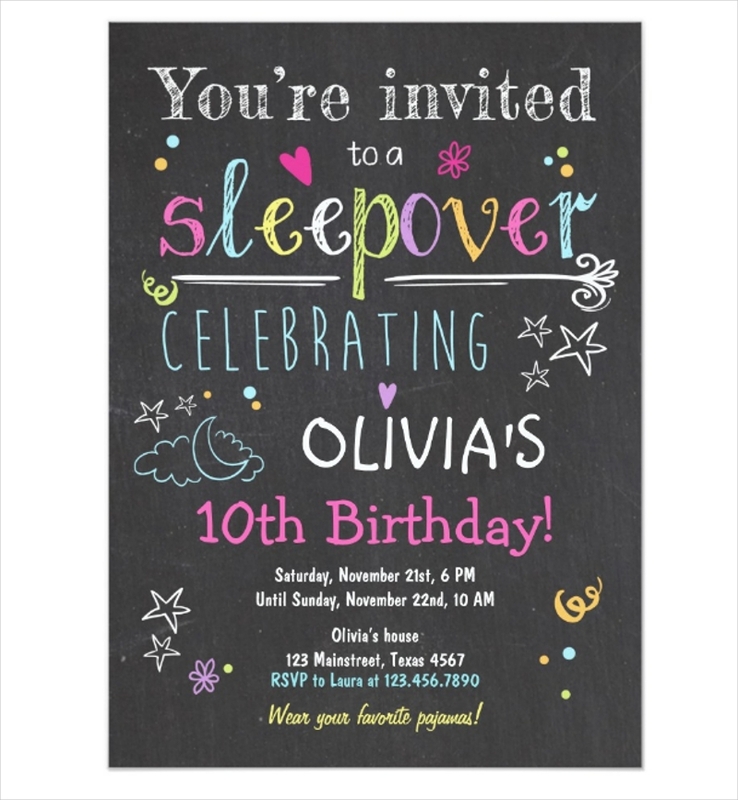 Whether you’re making Funny Party Invitations or slumber party invitations, the people that you will eventually be sending them out to will want to know the person who plans on holding the party. By knowing the host, the invitees can make the decision as to whether or not they should attend. Because eve you wouldn’t want to attend a party where you don’t even know the person who’s holding it right? So while you’re writing it down in the invitation, be sure that it’s the host’s complete name. Don’t skip out on the first name, last name, or even the middle initial so that your invitees can confirm who the sender of the invitations is. 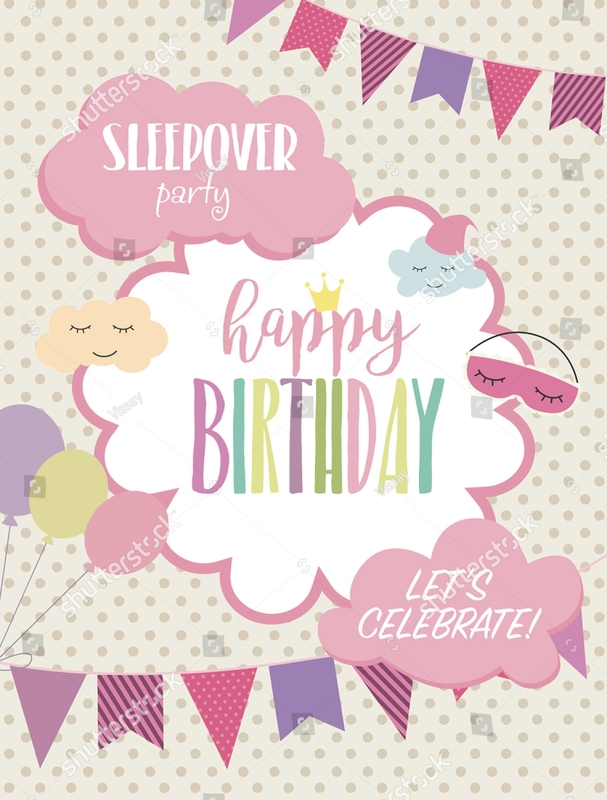 If it’s for a slumber and birthday party mixed into one celebration, then you can include the additional information of the celebrant’s upcoming new age.You may also see labour day invitations. 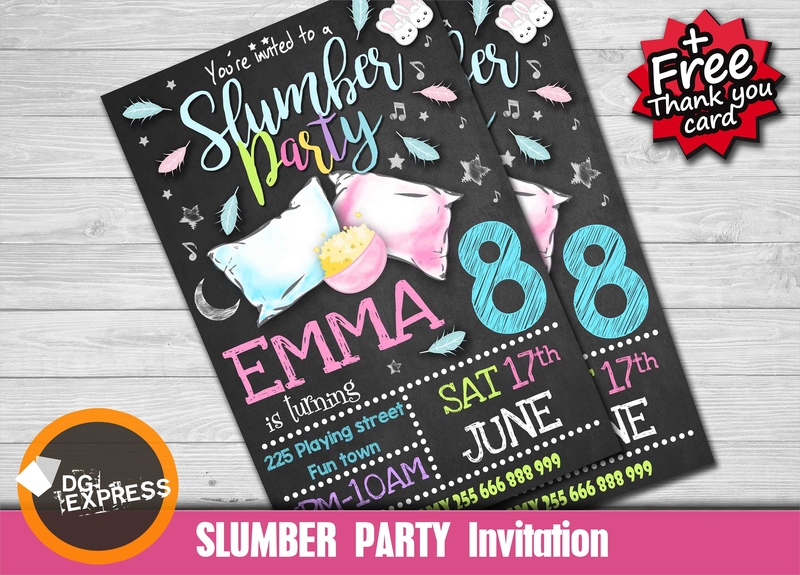 If you’re going to make Pool Party Invitations, DJ Party Invitations, or slumber party invitations, your invitees will want to know where the party is going to be held. Because before you even think about having a party, you need to come up with the best place in which you should hold it. So the first thing that should come into your mind is the best location that will match what kind of theme your party is going for and other factors such as the kind of food it’s going to have, the activities that will take place, the travel time and distance and more. Try to get at least 3 or 4 locations and weigh all of them to help you see which can offer you the most. This is the section of the invitation that will tell all of your invitees when the party is going to start. It’s your responsibility to provide them with the necessary information regarding the date of the party to guarantee that they show up on the day that you want them to. But first, you’ll need to think about when is the best time to hold it. So if you were to send out Beach Party Invitations for your summer beach party, your invitees would expect that it would take place around mid-morning until late in the evevning as that’s the perfect time to start and end such a party. You will also need to think about that when you’re coming up with the date and time for your slumber party. 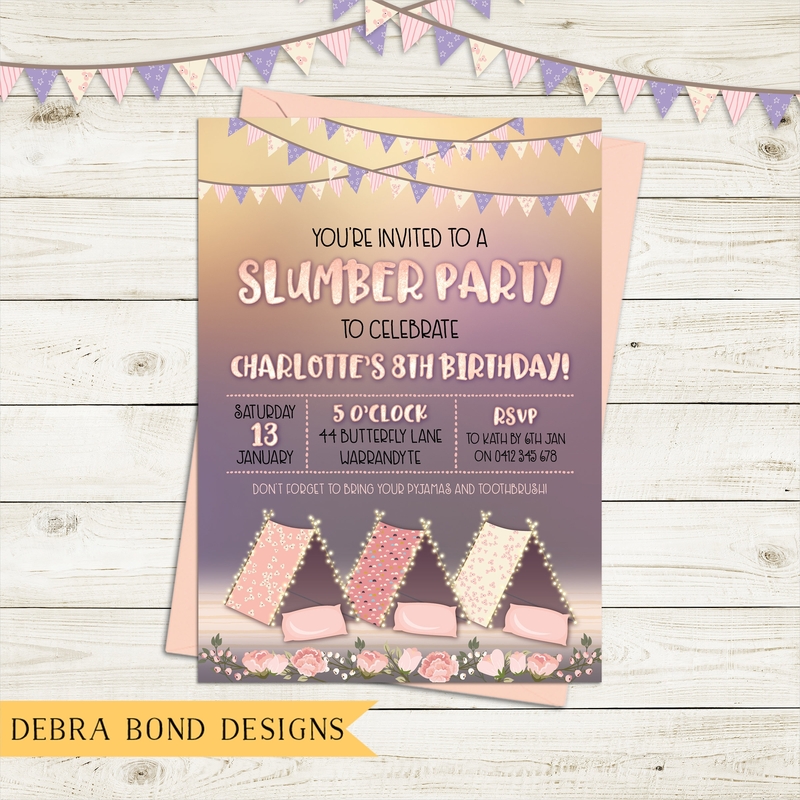 Now that you have learned what it is that you should place into your invitations, the next thing that you will need to do is to make it look more presentable and pleasant to the eyes of the people you wish to invite. You may also see ninja birthday party invitations. 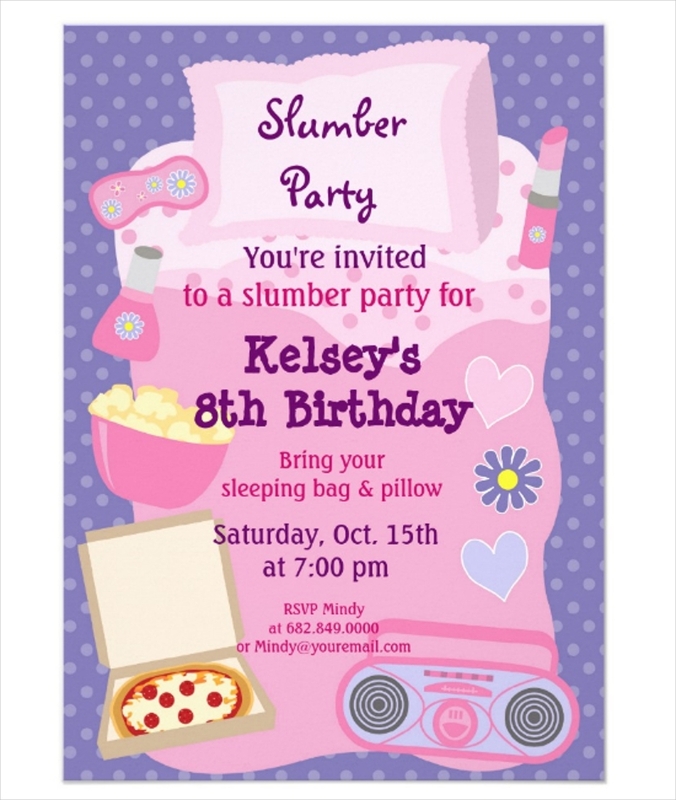 So here are a couple of tips that should be able to improve your slumber party invitations. When you think of ways to improve the appearance of your invitations, then your first thoughts would immediately go towards the design. 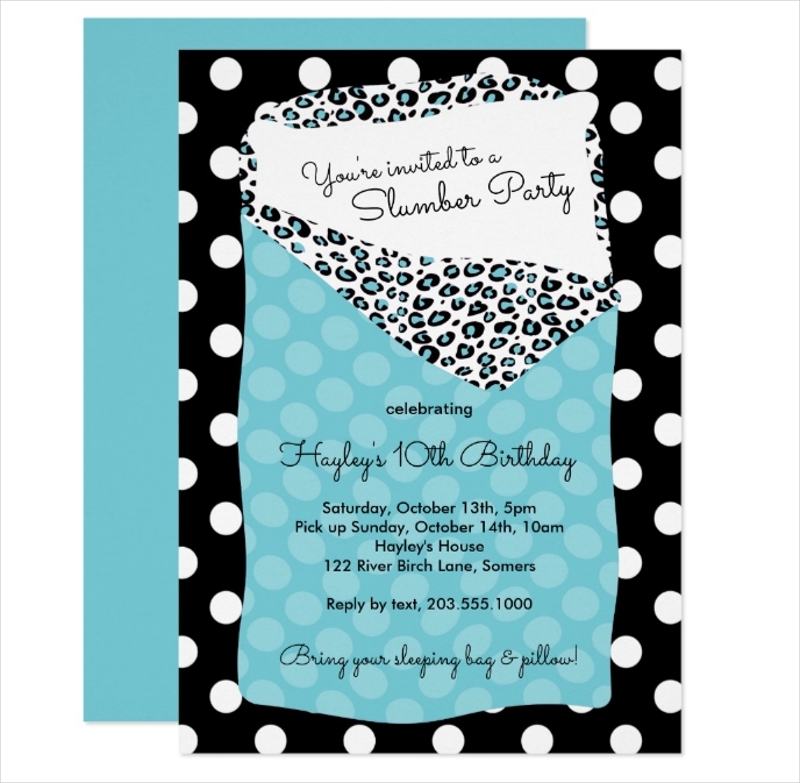 When you think about the invitation design, you want to make sure that it matches with whatever theme you’re going for. So let’s say that you plan on making Bachelorette Party Invitations, wouldn’t you want the images to showcase that it’s a party specifically for women? 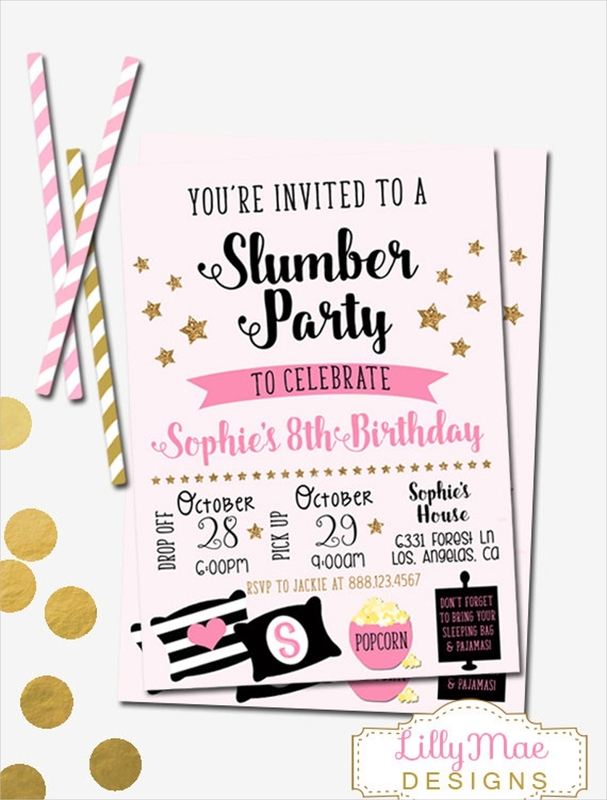 That’s exactly what you want to do in your slumber party invitations where you want it to convey as to what type of party through the design alone. 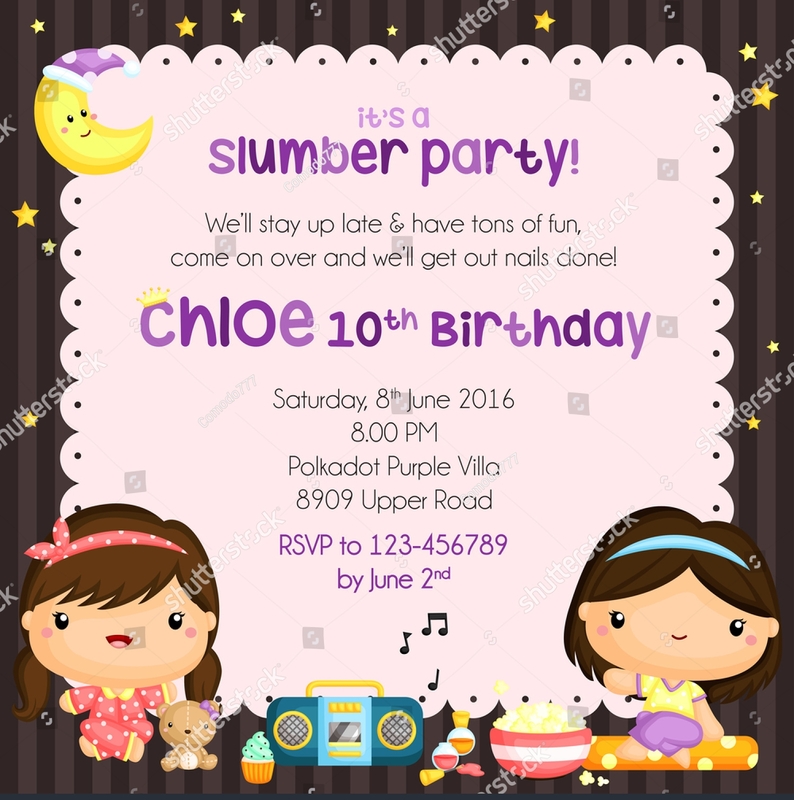 In the event that you would like to learn how to create other types of party invitations (Photo Party Invitations, tea party invitations, etc. ), then it’s best that you go through our site. It has all the articles that you need to help you create whatever it is that best suits your situation. Just make sure that you go through our articles thoroughly to properly utilize what you have gathered.